Good evening, dear readers. It is time again for a special event review. The event in question is none other than Akiba Fest. Akiba Fest was held by Aniplex October 15-16 in Little Tokyo, CA. Unfortunately, I was only able to attend the sixteenth. So, please forgive me for missing the first day of the event. However, I observed the event and its attendees for that day. The following written below is my review for the event. It's sad how two of the California Convention Blog's staples are closing this year: twitterfeed, and the used-to-used to be known as the Radisson Hotel. 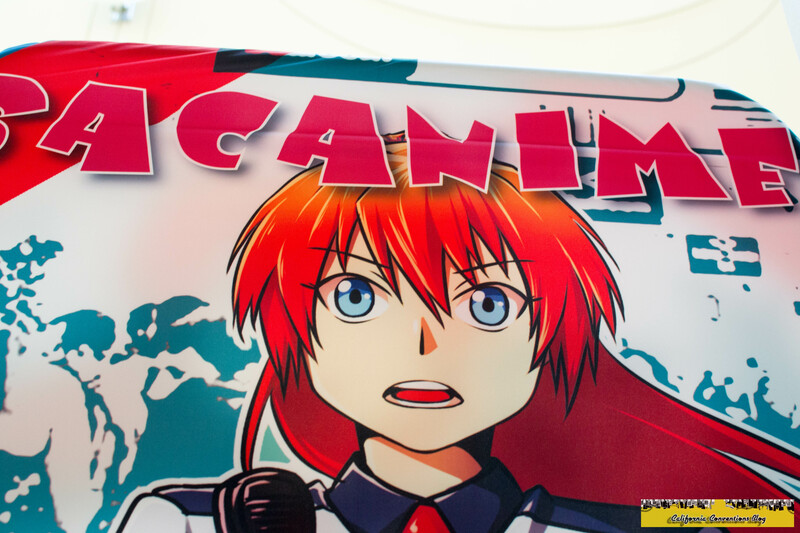 Editor's Note: The second in our community review series comes from Austin Guerra and focuses on a convention that embodies the origins of the California Conventions Blog: SacAnime. Wow, where to begin? I can start by saying that I honestly had a great time at SacAnime even though I spent most of my time in the Exhibit Hall. I am still a rookie when it comes to conventions, but that doesn’t mean I can’t have a good time or have an honest opinion on how the con was ran. I think the best place to start is with the positives on the con. 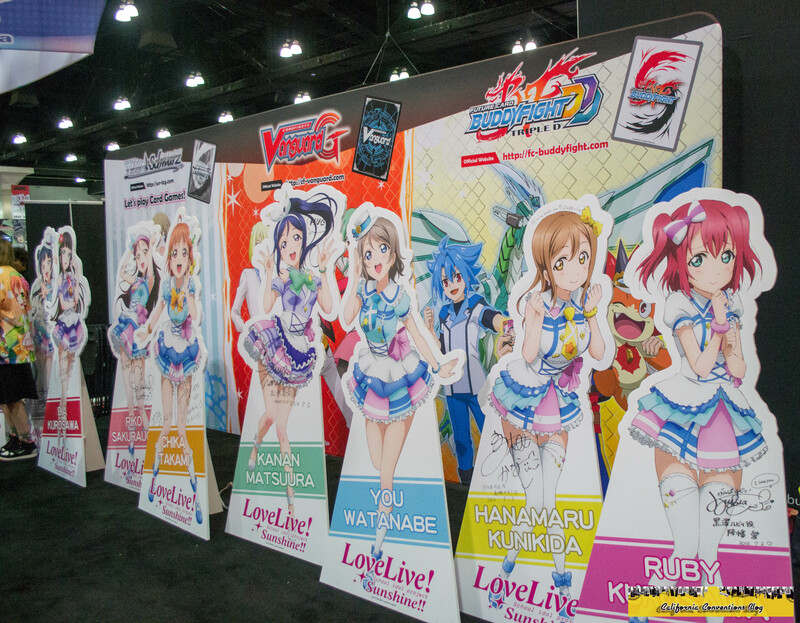 Ryan Reports Anime Expo 2016: Day 4 - Every Day's Great at Your...Con's Over Now Go Home...Wait What? 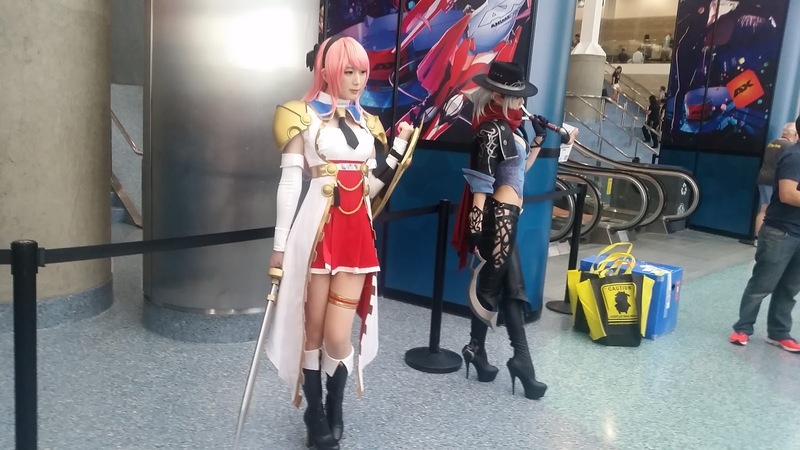 Part 2 of my Anime Expo 2016 report continues here! Editors Note: Here at the California Conventions Blog, we are always looking for people who share our passion for the convention culture that we live in, especially if it is an unique point of view that is new to most of us. Today is a hopefully a start to a new part of our convention reviews, titled "Community Reviews." These are reviews written by those who are not on the blog but are interested in telling stories and experiences. This is a way for these people to get a foot in their door, like all of us who started out reviewing conventions and telling stories & experiences because we wanted to share it with the world. 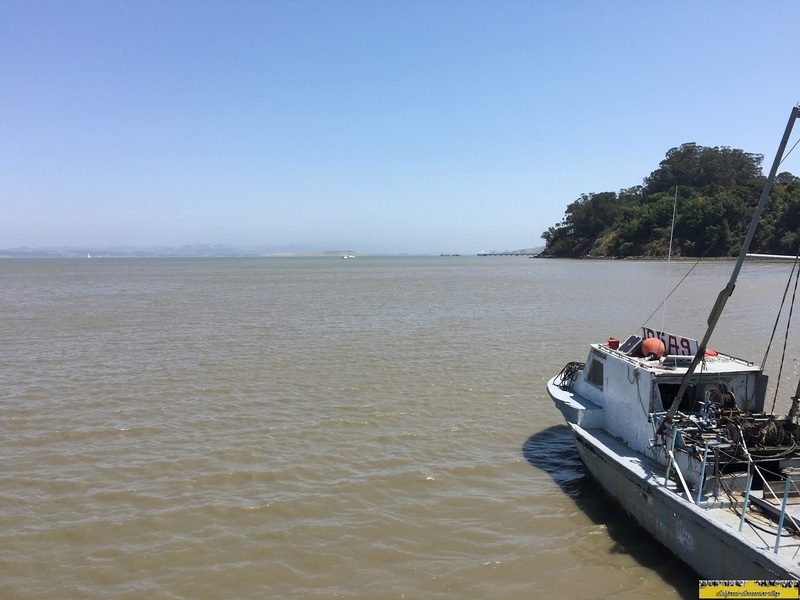 Our first ever community review comes from Ralph Jeriko Serranilla, bringing us an expeience that we've been wanting to write about for years: a permier fan. Anime Expo. 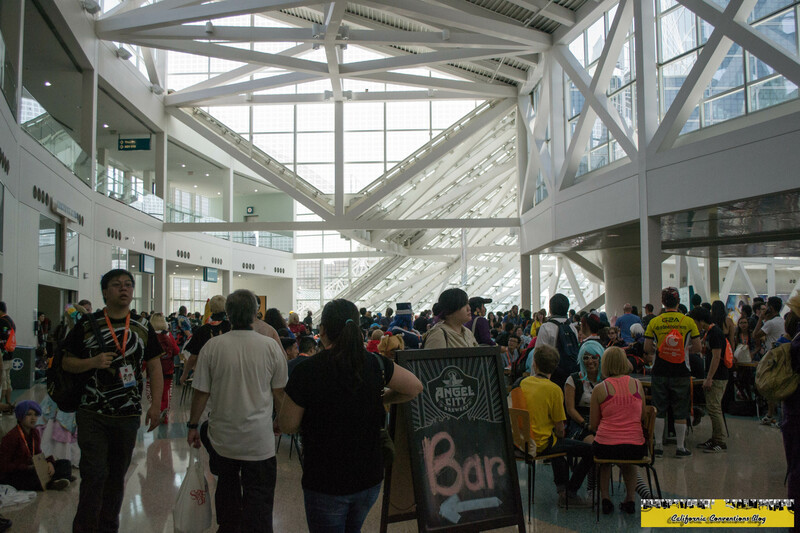 The biggest anime convention in North America held on the July 4th weekend. Four (now five!) days dedicated to everything anime, manga, video games, and almost anything peripherally related (I saw you Games of Thrones cosplayers!). Next con on the lineup is Anime Expo 2016, where it will be my 3rd time attending the biggest Anime convention in Los Angeles. Last year, I wasn't able to go as press so I had to go as an attendee to this big event and it was still pretty fun. This time around, I've gotten the pass and I was hoping for something better than the last time I got Press back in 2013. 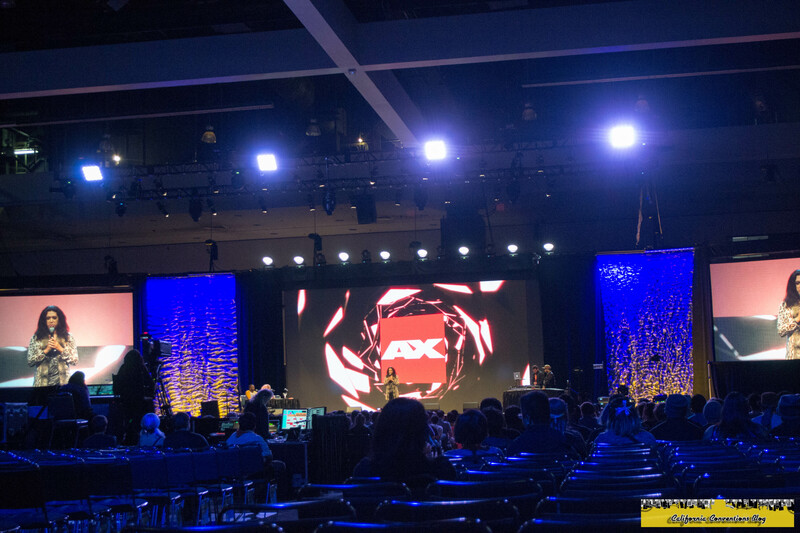 During that year, there was so many issues with me and LACC staff or AX staff back then that I was just really confused about what was going on, I mean I didn't even go to many of the things at that AX because of restrictions even if we were staff. Now I'm hoping this time around, there will be more leniency towards us and that we can actually have access to things. Nonetheless, I just hope for a very fun Anime Expo this year! Anime Expo is one of the biggest conventions in the United States, and one of the more well-known anime conventions as well. The convention was held at the Los Angeles Convention Center, as it has been for the past few years now. It always goes on during Fourth of July weekend, so this was no exception. This year, as a member of this blog, a few associates and I were welcomed back as member of press. Now, in the past, I have written some not so nice reviews about this particular convention and have been harassed by a former AX DJ and unfortunately, had to block him on Facebook. I pray that a similar situation does not happen again after this review goes up. Hello everyone, it has been a while since I've done a review for a convention, and this year was really quite something. So without further ado, let's get straight down to business. I've been attending AX since 2009, and I've attended every one except for 2012. Due to circumstances outside of my control, I thought about maybe not attending all together, especially when our press badges were still in limbo. I will be writing this review from the perspective of both a fan and press. When we first applied for press, we got turned down because apparently we didn't have enough credentials. Although I did eventually get a press badge along with my colleagues, even before the convention started it was a small strike against AX. It felt like they were stringing us along and the person on the other end did not know what they were doing. Either do the research and deny us outright instead of taking their word back like that. I also want to say that I had work on both Day 0 and Day 1 meaning I was not able to help my colleagues with the Press Junkets this year. So here I am, about to turn myself up to full-blown tourist mode and do everything on FanimeCon weekend that I haven't done before. In my my six years that I have attended FanimeCon, outside excursions have occurred but were short. Most of them involved just going to Japantown for a couple of hours rather than exploring the entire city if I didn't head straight to San Jose due to time constrants like checking in. After the winter cons of SacAnime Winter and AOD plus the spring con of Krakencon Spring, it's the summer time now and that means the real con season begins! And what better way to start it off with FanimeCon here in the San Francisco Bay Area. It's always been a great time at Fanime for me as it always is the kickstarter to the con season. I've seen the con have it's ups and downs like my first years attending the con was great to the construction years where it was just horrible to go around the con. And these last two years after the construction and expansion of the San Jose Convention Center I must say have had no problems at all. In my 8th year attending FanimeCon, this one's had a lot of things that I didn't expect to see! Fanime staff seems to have this pattern of doing everything late, from announcements to hotel rooms to professional registration, and things somehow working out in the end. On top of that, it's undergone a few gamechangers this year that have made it a make-or-break experience for many. For this report, rather than a day-by-day breakdown--as I don't go to many events at cons for the most part and I've written about Fanime four times now--I'll switch to a more topical style, covering things like housing, registration, and programming in their own blocks. 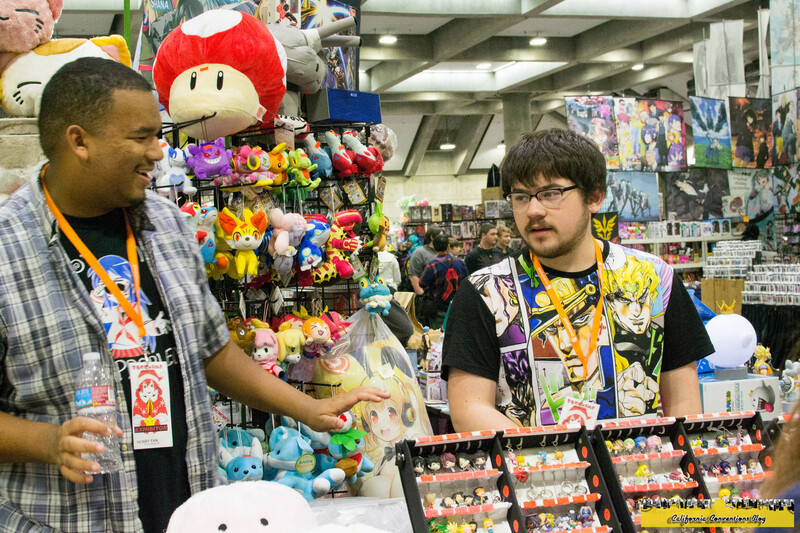 FanimeCon is a fan made convention, run by the fans, for the fans. 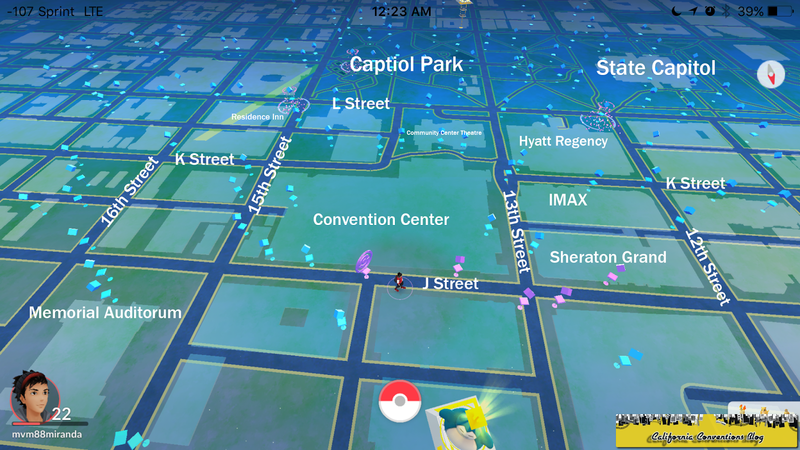 For Southern California cosplayers, San Jose is roughly an eight hour drive, depending on where you're coming from. I would be lying if I said this convention isn't worth it. It is. In fact, I believe this convention is one of the best conventions in California. Hey everyone, I am currently back on the California Conventions Blog reporting. Sorry about not being around for the past few months, I was currently working on a brand new job and it took a lot of my time away that I couldn't be able to have some time to work on reports. But now I have the time to make reports again, this first one for 2016 is for the most recent con that happened this past weekend: Kraken Con! I have been going to this convention ever since it opened up back at its first con in South San Francisco and now that it's going to it's 4th year, I hope to expect a lot of good things for this con. Let's just say, the con this year has surprised me. Last year, I took a bye year from Animation on Display. This year I thought about swinging by, and the right circumstances led to my decision to attend after all. 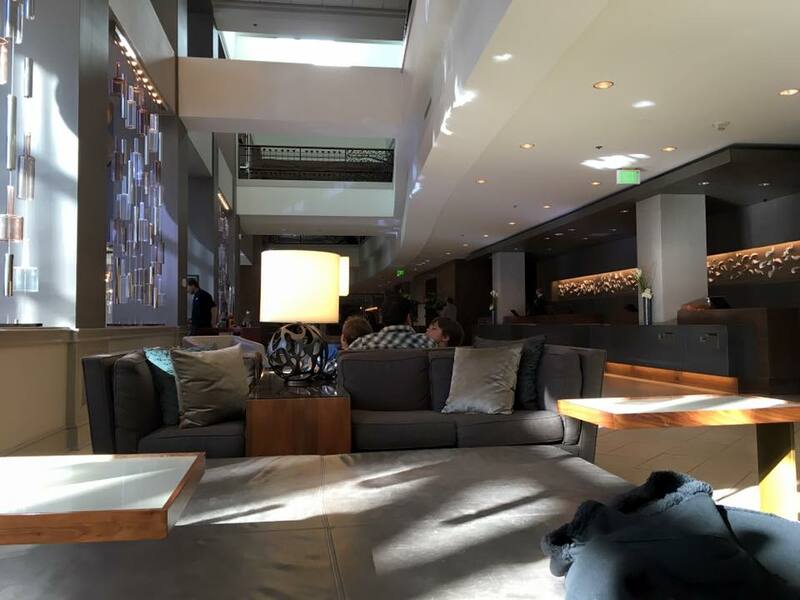 Since I started attending, AoD has changed venue twice: from the Hotel Kabuki in San Francisco's Japantown district to the Hyatt SFO in Burlingame off US 101 in 2014, and then to the Santa Clara Convention Center near Great America and Levi's Stadium this year. I was getting ready to be a little excited that AoD was finally growing by moving into a proper convention center rather than just a hotel, but as I'll explain soon enough, that wasn't exactly the case. Still, I managed to squeeze whatever enjoyment I could from this year's iteration; the key was having a plan and sticking to it. 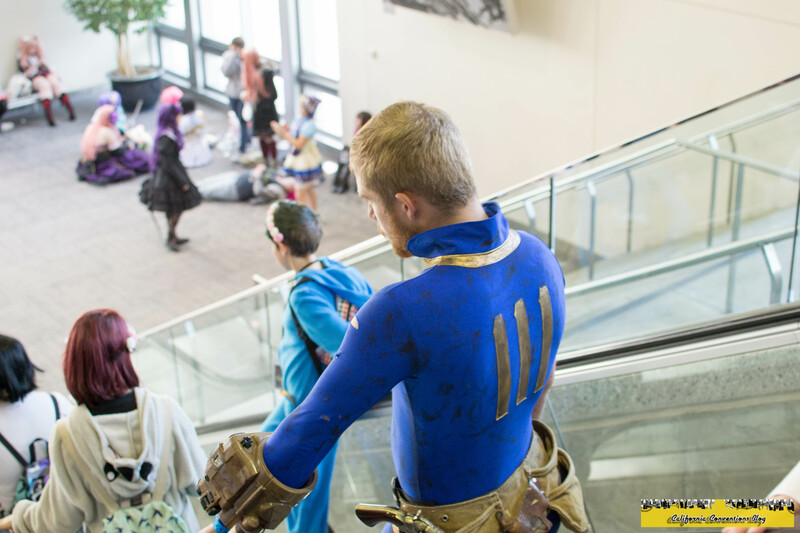 Valentine’s Day weekend was a busy one for con-goers all over nation. There was Katsucon in National Harbor, Maryland; Gallifrey One in Los Angeles; and a few other events and gatherings across the state. But I was at a long-time favorite: AOD. It is that time of year when convention season starts, and Anime Los Angeles is no exception to con goers. This con, in particular, being the first con for SoCal cosplayers. The convention officially moved to the Ontario Convention Center. A step in a new direction for the con, considering the convention head changed. Yes, you read correctly. Chaz Baden is no longer in charge of ALA. Alec Orrock is now running the convention. If you recognize the name, then you know that Mr. Orrock was once Chaz's second in command, his right hand man. Times have changed. New convention head, new location. This is all well and fine. However, there was a problem or two that I encountered prior to con. This has to do with panels and what was accepted and what was not. For example, all three Hetalia panels were denied, as well as a Kingdom Hearts panel, a Fairy Tail panel and Mobile Suit Gundam Wing panel. 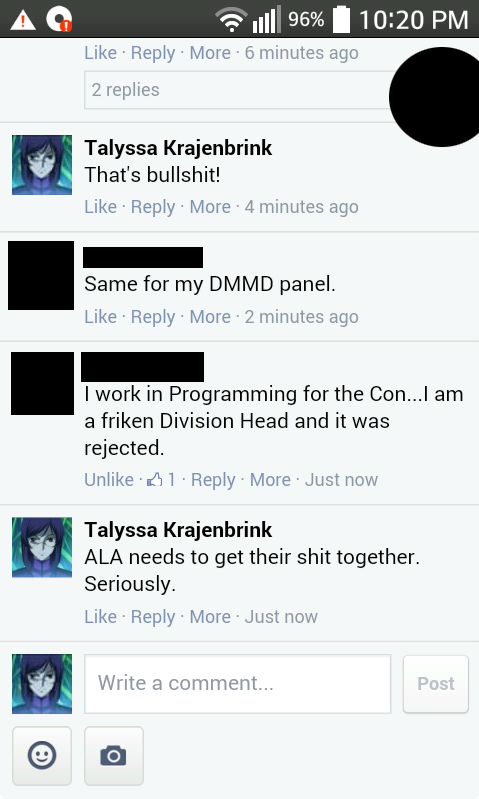 The 18+ DRAMAtical Murder and 18+ Starfighter panels were not accepted either. 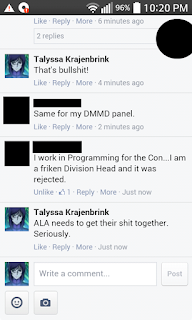 In fact, as you see below, a staff member in the programming department was in charge of the DMMd panel and it was denied. When emailed as to why the panels were not accepted, the response was the photo seen below. 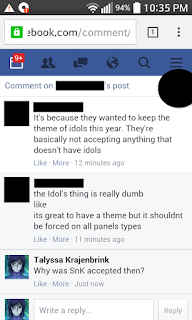 Here are some screen caps from a status posted by someone who had their panel(s) denied. I blackened all by my name and comments, to protect the other people's identities. Safety reasons. Looking through the panel listing, there were barely any interesting panels, in my opinion, and barely any idol based panels. So, why were most fan panels denied? That is my question. I understand that any panels should be based on the theme for that year, but forcing panel themes to be the same theme as the convention theme is not acceptable. I would still like my question answered. 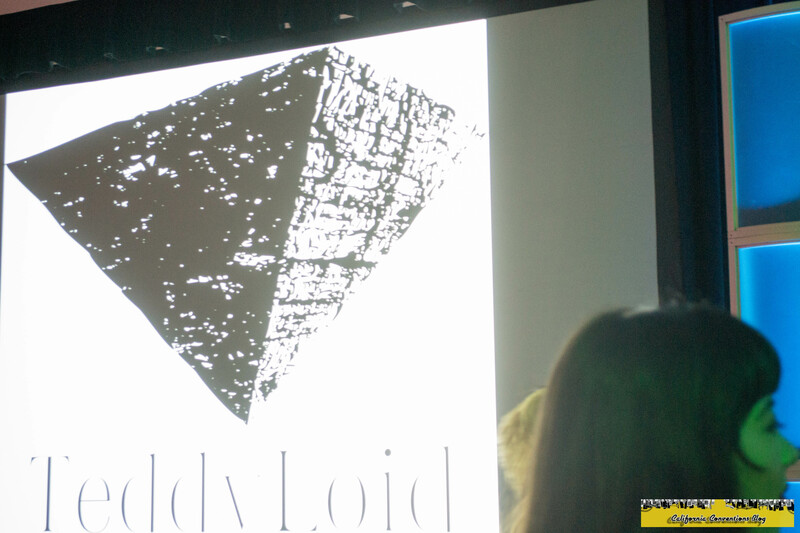 Why was the Shingeki no Kyojin maid panel accepted? It was not idol based. Therefore, by this logic I was getting from panel head, should not have been accepted. Perhaps favoritism is in play here. It honestly would not surprise me by this point. Normally, as a member of press, I usually hear back about my application being accepted a month in advance (at most) before con. Not even a week and a half, did I hear back that my application was accepted. I asked twice in the Anime Los Angeles group on Facebook about when to expect the email notification about my application, and no lie, someone yelled at me via comment that I was "crying over a press badge." All I did was ask a question. That was it. I will admit, I am used to hate, especially after two of my Anime Expo reviews a few years ago. But, this was new for me. Harassment is one thing, especially over the internet, but to say I was whining and crying over whether my press application was something else. New convention location meant a bigger venue. A bigger venue meant a larger attendance number. This is no lie. In 2015, the attendee number was capped. With the new venue, the attendee number will only go higher. 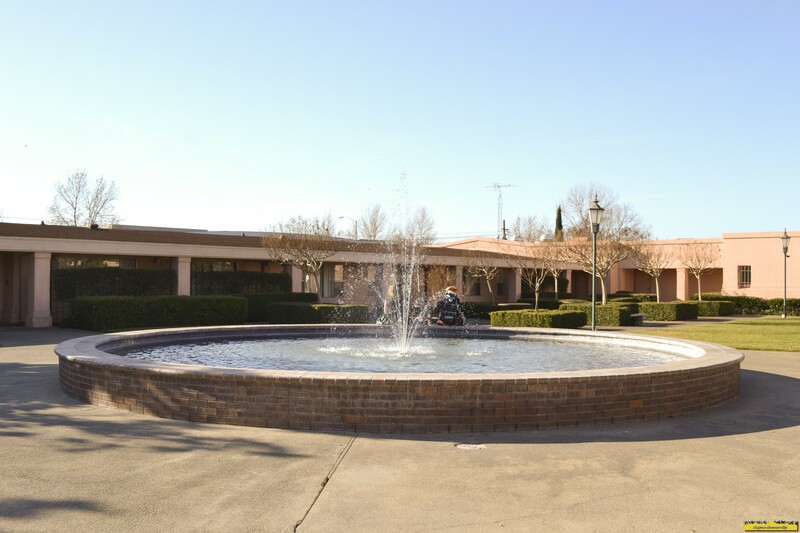 I will admit that the larger venue will only help the convention grow to possibly up to Anime Expo status, just less corrupt and industrial and more for the fans. Sure, everything was spaced out and it posed a problem for those in other hotels who had to walk home. Especially with karaoke and the dance at the Raddison. This is a suggestion, but perhaps relocating karaoke would be beneficial. I dislike covering this, but there were multiple reports of "roofies" at the large party in the Raddison lobby. Two or more young women were roofied. This is a concern. Luckily, nothing major happened to the young women the night of day two, but something could have. Who brought "drugs" to the lobby party and why would you roofie people? These women could have been hurt while people would not have noticed due to their drunken state. It is one thing to drink at a convention, and I will admit that I do on occasion, but never will I partake in doing drugs at a con. It goes against my morals. I suggest to anyone who has a room party, please make sure you are with good company. By good company, I mean, people you trust to not take advantage of you should you become incoherent. Party with those you trust. Drink inside your hotel room and play Cards Against Humanity. I am not going to say do not party with other con attendees you do not know, but just be cautious. Be safe, for you never know if the drink being passed around has some unknown substance inside it. The guest list was impressive, as usual. I am not surprised by this, since Anime Los Angeles never lest their attendees down with special guests. Todd Haberkorn, Stephanie Sheh and Caitlin Glass were a few examples of guests this year. Bravo, ALA for a superb guest list. Would I suggest you go to Anime Los Angeles? Yes. Yes I would. Within the next three years, the convention will only get better. It is the first year at the new location and the con staff are still trying to make it home. To make it as it was back in Los Angeles. To make it the best the convention can be. 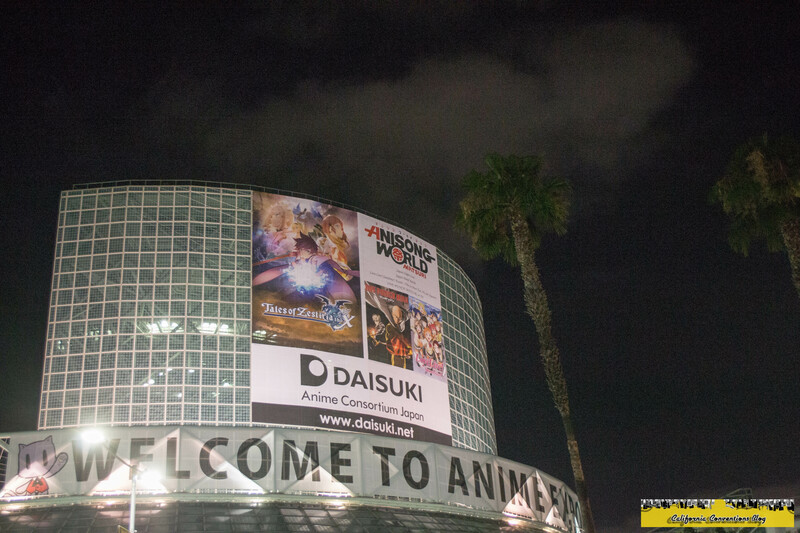 Will Anime Los Angeles become like Anime Expo? I pray not, but knowing the volunteers and staff, I get a feeling the convention will not be. 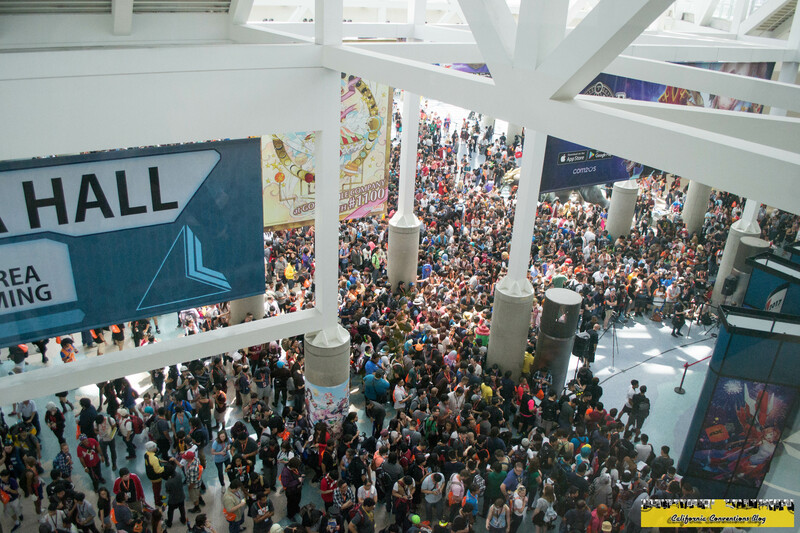 We do not need another Anime Expo. Thank you to the volunteers and staff who made this convention. You all were great and worked hard. When I go back and read the part that asks "could this relatively small convention that caught lightning in a bottle sustain their momentum and become an established convention within the Southwest portion of the US" and then look at what Taiyou Con is doing this year, my answer leading up to this weekend would be "yes." Lotus Juice is back (as well as an appearance at AOD a month later in Santa Clara) but no Shihoko Hirata or Yumi Kawamura; but they were able to obtain Kappei Yamaguchi who has an extensive background including voices from Persona 4, One Piece, and Inuyasha; and Yuu Asakawa, who is very known for voicing Luka. Yes, the Vocaloid Luka. Not that bad for a year after what I considered the "best anime convention ever in my life." Every time someone asks me "what was the best anime convention that you attended ever," I would of pointed to Anime Expo 2013 or FanimeCon 2014. But then came this last-second planned trip with Ryan and myself to this convention in a suburb in Phoenix, Arizona that we never heard of except for that one viral commercial because they decided to drop Lotus Juice, Hirata-san, and Kawamura-san. Now I tell everyone that Taiyou Con 2015 was the best convention I ever attended. What really made Taiyou Con special was that it felt like just the right size for the engagement that the convention was setting up. It felt like maybe all together there was about two thousand attending, and out of those two thousand four hundred were attending the concert, and out of those four hundred fifty were attending under VIPs. The debut of the trio in the United States would of been a different story if instead of four hundred it was three thousand over at the City National Civic or at the Los Angeles Convention Center; the narrative going into the convention and afterwards would of varied drastically. 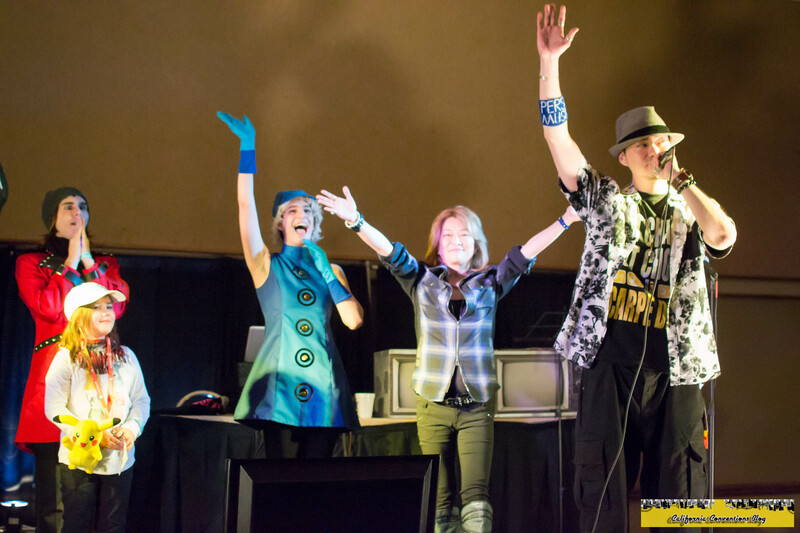 With the four hundred that Taiyou Con had anticipated, it felt like a gathering of the most die-hard and loyal Persona/Shin Megami Tensei fans into an experience that could only be lived once. And for the both of us, we almost didn't get that full experience like we reported it. By the time we actually had planned on attending, all the VIP tickets were sold out and at that moment we were going to settle on the normal tickets which didn't include priority entry into both the Saturday main event concert and Lotus Juice's Sunday solo concert & entry into the VIP autograph session. But then we struck gold; Ryan found someone from Nebraska who was selling two VIP tickets because this person could no longer attend. After dabbling back and forth about spending the extra money because we already had tickets, we decided to get the VIP tickets and hope that someone would want the normal tickets at the convention. I did find someone who did want the tickets and made a clean exchange. However, we found out later that in during the increase of demand of VIP tickets after they sold out, sellers sold more than one copy of said ticket and whoever got to the barcode scanner first would get in while the other person with the same exact barcode would be denied because the ticket was already redeemed. We had somewhat thought about this the morning of the concert and factored it into the decision to show up early (the other [and main reason] was to get good seats to record) and incured no problems but caught the duplicates being put into action with the staffers taking appropiate action. We were hoping that this issue would of been fixed going into the 2016 edition but since we are not at this convention we await to hear word from the attendees. Taiyou Con 2015 was a first for a lot of accomplishments: attending a convention in Arizona for the first time ever and attending Taiyou Con for the first time ever are the first two that come to mind. We also used Taiyou Con for filming off of cellphones; I never thought the day that an iPhone would be able to shoot clear, 1080p video and we decided to give my iPhone 6 and Ryan's Droid Turbo a shot in recording convention footage over the trusty JVC camcorder that I've used for many years. Ryan could of shot portions of the concert in 4K (which then I could do a year later with the iPhone 6s+) but decided to keep it at 1080p to ensure that the full concert was recorded. We didn't have any issues recording both concerts beyond switching phones due to battery percentages; most of the issues came during encoding and editing to publish to our YouTube channel. My iPhone and his Droid shot at different frame rates which was desyncing the audio and video when it was being encoded and converted. We did find a solution to the problem and were able to successfully upload all the concert footage. Since then, I've ditched the previous video editor in favor of Adobe Premeire Pro and iMovie which has been used to encode and edit some of the SacAnime Winter 2016 videos and other "test videos" (like the Central Valley Cosplay Gathering and Capitol Fight District) that have gone up. There's a different charm of attending an anime convention that I've never been to before in a city that I've never been too before. Fanime and AX are excellent conventions but if I had to trade one of those conventions for a convention in Phoenix, Seattle, or Portland, I would do so in a heartbeat. In fact, it's what I'm already planning: this year, those two conventions aren't on my "to attend" list due to life commitments, and even when I'm ready to attend conventions outside of Sacramento again I want to attend something new, something I haven't done. Otakon is on my bucket list especially with their move to Washington D.C. in 2017 looming, but SakuraCon. Kumoricon, Saboten Con, PMX, and even something like AOD would be on my radar just so that I could attend them and say "I went there." In all, that Taiyou Con was a fresh experience not only from a convention angle, but also from a pseudo-spiritual angle. A lot happened that weekend that changed and left us with a lot memories - and motivation - going into the future. It felt like we came out as improved people through this magical journey to enjoy and find ourselves. I just hope that one day I could re-experience in full what I saw during those five days. Oh Sac Anime… here we go again. It’s 2016, and no sooner did the new year begin than a new Sac Anime did as well. While I had a few disappointments last time around, I trusted the staff to take attendee feedback into account and attempt to improve things. In many accounts, they did. On others, I still had some problems. I never liked it when a convention ends, especially these three-day conventions. You're having such a blast, seeing friends and total strangers when all of the sudden it's now Sunday and you have to go home. Time to pack it up, time to check out, and go back to our ordinary lives. Like most of my reports that I have written in the past, most of my convention reports don't start at the convention but usually somwhere else. And this convention is no exception. After SacAnime Summer 2015 had the highest attendance in SacAnime history, you might ask yourself "what could this convention do next?" If you answered "start the next edition of SacAnime on New Years Day," you would be like "what?"